Purchases that are made with Di Vapor Limited, completed using either telephone, the www.divapor.com website or other medium are subject to the following terms and conditions. By placing an order with Di Vapor Limited you give your acceptance of the following terms and conditions. You are advised not to book your plumber or carry out any preparatory work on your bathroom until your goods have arrived and been fully checked. Di Vapor cannot accept any liability for losses accruing from plumber or preparatory costs. Please make sure you check that all items are present and free from any defects upon delivery and before signing the drivers delivery note. You must report any missing or damaged items to Di Vapor within 72 hours of delivery so we can help resolve this situation. The steam showers, whirlpool baths, walk-in-baths and infrared sauna units are considered bulky and heavy items. Your items will be delivered by a single driver. Therefore, it is important that you make sure there are able bodied persons available to unload the items. It is at the discretion of the third-party driver as to whether they help lift products. Please see the pre-installation sheet for gross box weights and sizes. 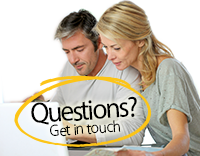 If you have any questions regarding one of our products then please phone us on 08454 650 800. Alternatively, you can send us your feedback or enquiry using our contact form found from the 'Contact' section at the top of the page. To make a purchase from Di Vapor you can either buy online today or call us on 08454 650 800. Online: Please browse through our Internet site at http://www.divapor.com, which acts as our online catalogue, allowing you to view and buy all of our steam shower enclosures, hydromassage baths, walk in baths, infrared saunas and spare parts. Once you have made a product choice you can select any 'frequently bought items' (e.g., aromatherapy oils) you require and then click the 'BUY NOW' or 'BOOK NOW' button. Your order will then be added to your online shopping basket. You can easily access your basket by clicking the 'View Basket' link at the top of any page on the Di Vapor website. Once you are ready to pay then simply complete the remaining checkout stages. You can rest assured that all your details are protected using commercial level encryption. Once you have completed your purchase, delivery will be arranged. Where a product is out of stock there will be a delay in delivery so a member of the Di Vapor team will be in contact to inform you of its progress. Phone: Di Vapor is happy to take telephone orders using our phone line 0121 705 0866 / 08454 650 800 between 9am - 5pm, Monday to Friday. Please make sure you have your credit/debit card along with your selected product part number to hand, which will ensure a quick and smooth transaction. 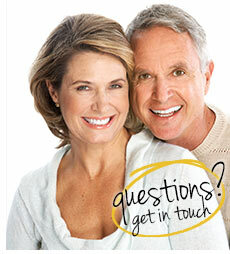 Our sales team will be happy to answer any queries that you may have about the products in our online catalogue. Pricing & Payment: The price of the products found on this website may vary from time to time. In exceptional circumstances, Di Vapor may make changes to the price charged to the customer to account for: sudden changes in manufacturer prices, the imposition of extra taxes or duties, or a pricing error or omission with the published price whether before or after the order has been confirmed. We accept telephone and online payments using Visa, Mastercard and American Express. Di Vapor can also accepts personal cheque, postal orders or electronic bank transfers. Di Vapor may ask for a 10% deposit to guarantee an order or hold a product prior to the balance being settled. All payments must be cleared before any goods will be dispatched. All products remain the property of Di Vapor until paid in full. Please read our delivery guide for more information about charges: Delivery Guide. The delivery of items is subject to availability. Di Vapor will either email or telephone you with a confirmation date for delivery and information about the consignment you should expect. Please note that bulky items will require more than one person to unload the boxes off the delivery lorry. Please check the weights of your consignment before the delivery arrives and make appropriate arrangements to have ample manpower on site. Please note that the delivery times given by Di Vapor are provided as a guideline only and we cannot guarantee a given delivery date due to factors outside of our control, such as supplier or delivery company delays. However, the times given reflect the normal maximum period of delivery and Di Vapor aims to surpass these figures. Unfortunately, we cannot accept any liability for delays in delivery howsoever caused. Weekends & Bank Holidays: If items are ordered during the weekend or over a bank holiday then the order date will be taken as the next working day. Orders placed during the Christmas period may incur delivery delays due to the warehouse being closed. You will be advised if a longer delivery time is unavoidable. Upon Delivery: Please make sure you check that all items are present and free from any defects upon delivery and before signing the drivers delivery note. You must report any missing or damaged items to Di Vapor within 72 hours of delivery so we can help resolve this situation. Our courier company can only deliver goods to a ground floor, roadside location and are not responsible for moving your items indoors or upstairs. Ensure that people are available to assist with moving heavy/bulky goods at the delivery location. If redelivery needs to be arranged because no one was at the delivery location an extra charge may be applied. Goods will not be left unattended. Di Vapor will accept the return of any item cancelled within 14 days from the day after the product was delivered providing the items are in perfect unused, re-saleable condition with the original sealed packaging. If packaging is unsealed it must be resealed. Items must then be returned within 14 days of the items being cancelled. Cancellations cannot be made where the supply of goods was made to your own specification. We request that you do not assemble the goods if you plan to return an item as this can damage the goods and therefore not meet your statutory duty of taking reasonable care. Please note, you are under a statutory duty throughout the period of cancellation to retain possession of goods and take reasonable care of them. In the event where a refund is not due to faulty or misdescribed goods the refund will cover the cost of the item only and not include the cost of delivery back to our warehouse. It is your statutory duty to take reasonable care of the goods and ensure that the goods are returned in a re-saleable condition. Where the goods are not faulty the return delivery cost will be covered by the buyer. Refunds will be made as quickly as possible and within 14 days of the goods being received back to the returns address provided. A deduction to your refund may be made if the value of the goods has been reduced as a result of you handling the goods more than necessary. You should only handle the goods in the same was as you would in a retail shop. It is important that you take reasonable care to ensure that we received the goods and that the goods are not damaged in transit. Refund of Postage Costs: You will be refunded the basic delivery cost you paid to receive the item. If you opted to pay for an enhanced delivery service such as next day delivery then this portion of the delivery charge will not be refunded. If you would like to make a return then simply tell us your name, invoice/receipt number, the item you are returning and the reason for the return. Please send your request in writing using a durable medium (by post or email) to our Di Vapor head office so we can resolve your request. Unfortunately, order cancellation cannot be made over the telephone. The effective date of cancellation is on the date that you give us written notice of the cancellation. Please ensure that you keep some evidence of having given notice of the cancellation of your order (e.g., certificate of posting). The guarantee provided for the steam showers, shower enclosures, walk in baths, infrared saunas, steam saunas and whirlpool baths is a parts only guarantee. The warranty provides cover for the spare part(s) only and does not cover the cost of labour, preparatory costs, removal and/or reinstallation or loss of use, incurred when installing the supplied spare part(s). Please see the Spare Parts Warranty card that is supplied with your paperwork for a full listen of exemptions. In the unlikely event that a defect develops in one of the parts then please contact our sales team on 08454 650 800 who will arrange for a spare part to be delivered to you. Please note, Di Vapor recommend that a trained engineer fit the spare part. Di Vapor cannot accept any liability regarding the installation of spare parts. Your statutory rights are not affected. Upon receiving your item it is important that you open all packaging and check that items are present and not damaged. Any damage must be reported to Di Vapor within 72 hours of delivery. Any damage that has been caused by transit of goods must be noted upon the carrier's delivery note. Carriers require that you sign for all items being in good condition upon delivery. It is important that somebody is present to receive and check the items for damage on the day of delivery. If your order is not in stock then a member of our sales team will contact you and give you a revised delivery date. At this point you have the option to withdraw the order if you are unable to wait. All orders are subject to 20% VAT. If the rate of VAT changes the final product price will alter accordingly. Your privacy is important to us. Any information that we collect from you will be used in the correct law abiding way (according to the Data Protection Act of 1998). Di Vapor collects and stores information regarding your order details, but not payments details. We may also store information you send us, such as queries, feedback, suggestions or complaints. This information is stored so we may provide you with an excellent service. Di Vapor may from time to time send you our own literature but do not sell, pass on or disclose our customers details to any third party. If you do not wish to receive promotional material from Di Vapor you can remove yourself from our mailing list by sending us a message using the contact form on the 'Contact' page. If any part of these Terms and Conditions is found by a competent authority to be invalid, unlawful or unenforceable then such part will be severed from the remainder of these Terms and Conditions, which will continue to be valid and enforceable. Please direct any complaints to the address of our registered office above.